somehow it is interesting that now both very big ones - Eris and Pluto - have a smaller but still big "brother" with similar orbits - 'snow white' and Orcus ! Any chance this is 2007 OR 10, or is it a different one? I hope it's naming isn't delayed like Haumea's and Makemake's were. Now if only the IAU will christen Quaoar and Sedna as dwarf planets - we'll have Snow White and the seven dwarfs. I'm with you on this, Ralf. I find it interesting that 2007 OR10 is like a clone of Eris (assuming it's "Snow White" that has that license-plate number). But, of course, I'm what you would call an "afficionado". Sometimes it's not just what is being reported that is important, but when. For instance, the Kepler mission to find the shadows of planets. Since this is one of the most important missions ever, the rather routine launch got a lot of press. The Orbiting Carbon Observatory didn't get as much press until it wrecked. The launch of a routine utilitarian appliance such as a weather satellite or a communications device of course doesn't get as much press as Kepler. But it's the routine utilitarian appliances that are the everyday coin of the space program. There was a flurry of publicity a few years back when they tried to cancel the Tropical Rainfall Measurement Mission. I don't think this would have made any splash except for the fact that this obviously very important mission was being considered for the axe. The device was very important to it's aficionados in the National Weather Service. Nobody's going to be thinking about Kepler for the next three and a half years. But when it finally makes it's report, the Great Planet Debate is going to spring up again. Until then, there's not much to talk about. We'll need a new classification. A place with the potential for green grass and walking fish is going to be smaller than Jupiter but larger than Namaka. I will propose the term "Earthoid" here. This would cover habitable moons of giant planets as well as planets. The aficionados of the Kuiper belt come here. We can see that you are busy with observations of Haumea. Do you think maybe you could get Darrin Ragozzine to do a guest article? Or maybe somebody like Alex Blackwell or S. Alan Stern. Well, OK, Laurel fills the later role. Mike, be grateful, your team is blessed with a great writer to front for them - namely, you. Have a nice day. Is "Snow White" likely to get a real name or will it just remain as 2007 OR10? Does it need a mass estimate first? AFAICT it's currently the largest known unnamed object in the Solar System. OR10 "may be" the largest unnamed object. But (84522) 2002 TC302, with its likely low albedo, gives OR10 a run for the money. Pretty funny I could write an entire piece and neglect to mention the name. Yes, it is 2007 OR10. We have not yet proposed a real name for it, as we don't know enough to have a name with meaning. But someday this too will be part of the bailout package. Unless the post I have written is about planet classification, I really really don't want to have to read repetitive comments about Pluto/KBO/dwarf planet classification, and I will delete them. Really. (As a counterexample, however, read Miike Emmert's comment, which, while discussing classification, is new and interesting). But, hey, if my post is about planet classification, go hog wild. The problem is, I don't believe 2002 TC302 really has the low albedo reported. It would be the only low albedo large object, which would be a bit odd. Not impossible, just odd. At the same time, I am not convinced that 2007 OR10 is as >large< as reported. Someday all of this will become clear, I hope! In that case we will wait eagerly but patiently for more data. Thanks for keeping us up to date! Hi Mike. You are probably right that TC302 may not have the Spitzer adopted albedo of 0.03, but some objects in the 700 to 1000km range should be darker than their average peer. It seems that only around 1000-1200km does the albedo seem to spike from a generic 0.09-0.15 to ~0.4+. So if you use the Spitzer high albedo of 0.06 (which may still be wrong) you would still get an object around 800+km (H=3.8). But this goes to show how the measured size estimates for TNOs overlap so much. I think it would be cool if one of the ~1000km size objects actually is near the albedo astronomers thought Pluto had when Pluto was discovered. It's frustrating that for dynamicists those bodies only count as massless dummies suitable for recorrelation of dynamic models. This part of science is important (how does the Solar System work, as a SYSTEM). But how planetary bodies evolve is equally important. And many of these objects are "planetary" (I'm not going to revive the debate there and btw I'm OK with the dwarf planet appellation)in the sense that they have a history and physical/geological/chemical processes operating or having operated. If this is correct, a 1000km+-wide TNO with a density of 2 would retain extant liquid water deep underground... The limit would be about 1100km+ for a density of 1.6. In any case, the largest TNOs are also subjects of planetary science with rich astrogeology. "Snow White", as the Seventh Dwarf, might well present some interest per se. Remember when Haumea was not yet the parent of a collisional family... You studied Haumea as a marker of collisions in the KB, but the resulting complex tidal situation with Namaka and Hi'aka acting on their fast-spinning primary with a huge obliquity might elate planetary scientists. Let's hope 2007OR10 will show some specificity that will make them wrong. And congratulations again for your discovery. I would hope you would not consider dynamicists to be one-dimensional and boring. Try downloading GravitySimulator, it's fun! But, of course, uranium and thorium do exist and do heat these bodies. It's interesting to see what happens when tidal flexing is not taken into account. This then establishes a baseline for better evaluating other sources of heat on the KBO's. For instance, the chart on page #5 implies that tiny Namaka should be frozen throughout. Well, we'll see. The late, great science-fiction author Robert L. Forward wrote a book called "Camelot 30K", about a fictional civilization on the fictional KBO 1999 ZX. That license-plate number does not exist. The civilization, shrimplike creatures who lived on natural nuclear reactors, had a social structure like ants or bees or naked mole rats. I've read several works of art by that particular author but not that particular one; I can nevertheless attest to the man's vivid and very entertaining imagination. I ran into it looking through Wikipedia in reference to the natural reactors at Oklo, Gabon, which haven't operated for a billion years or so. I got interested when someone on another article claimed they couldn't produce plutonium-244. I got the impression (though it wasn't really clear) that he believed the reactors ran at a steady 100W but being controlled by neutron absorbers which can catatstrophically run out, I believe they would run more like Chernobyl - intense activity for very short times, shorter than the 5 hour decay halflife of Pu-243 and so I think the stuff does exist on Earth. You've mentioned the tidal beating going on in the Haumea system. The Pluto system is like that except considerably more extreme. Rather than cigar-shaped, it's an actual binary. So tidal heating on Nix and Hydra would be even more extreme than on Namaka and Hi'iaka. Anyway thanks again for the great paper! Dynamic studies are extremely interesting. I do not find them boring at all, just that they do constitute a part of solar system science not its totality. 4) The inclination of the moons orbit is much larger for the Haumean system, which adds another perturbation on the primary. For the tidal effect of the primary (or pluto-charon couple) on the moons, it directly depends on the radius of the moons. And Nix and Hydra are smaller than Namaka and Hi'iaka. And here again, the power (energy/time) will be decreased due to the slow period of rotation of the Pluto-Charon couple. Neptune's Guard, I hear you about frequency/power, I should probably think on that for a while. seems to need inclination. Then there are strange-looking tracks viewed in a rotating frame where the third object slows to a halt then starts back up 90 degrees to it's original track - then makes a loop :0 Mathematically some deriviative goes to an undefined state, but I don't know what that derivative is. Looks really bizzarre. It's a perspective effect of some kind. I'm looking forward to the new article. By now, we know little about 2007 OR10, but we can suggest a name. The dwarf planet has an orbit similar to that of Eris, with an orbital period almost identical. So we can suggest a mythological name associated with Eris. But abhorred Eris ('Strife') bare painful Ponos ('Toil/Labor'), Lethe ('Forgetfulness') and Limos ('Famine') and tearful Algea (Pains/Sorrows), Hysminai ('Fightings/Combats') also, Makhai ('Battles'), Phonoi ('Murders/Slaughterings'), Androctasiai ('Manslaughters'), Neikea ('Quarrels'), Pseudea ('Lies/Falsehoods'), Amphillogiai ('Disputes'), Dysnomia ('Lawlessness') and Ate ('Ruin/Folly'), all of one nature, and Horkos ('Oath') who most troubles men upon earth when anyone wilfully swears a false oath. What name would you choose? Dysnomia was used for the satellite of Eris, Others are all available. “It’s just a big Kuiper belt object. Perhaps even the 5th largest one known. It probably fits between Sedna and Quaoar in size. A few years ago it would have been front page news. Now? Yawn. Nothing. Therefore, I suggest "Lethe" (Forgetfulness) by the consideration that the press had with the 2007 OR10, the most absolute silence, ignoring it since its discovery. Heh, heh, pretty clever! Wasn't "lethe" the Roman word for milk? I'm not sure - it's "leche" en Espanol. So I guess we would have "milk white". I am eagerly awaiting the article by Darrin Ragozzine. Should be absorbing. My English must be very bad, so you know that I'm Spanish. In fact, I do not know it would be me without the google translator. The article by Ragozzine that you mention seems to be interesting ... I guess that will be about 2007 OR10. In the previous comment, I think that I put one's foot in it. I apologize. But your comment made me think of another name for 2007 OR10, this time I noticed in your nick name: "Snow White". Which made me think of a mythological deity that protrude its whiteness, like the nymph "Galatea", which in Greek means "white as milk." Note: Indeed, Portuguese milk says "Leite", which is similar to another name: "Lethe." Uh...I don't see where you put your foot in it. You've made great posts here. Actually, I'm the one who put my foot in it. Darrin Raggozine's guest article is supposed to be about the dynamics of Haumea, so it's a little off topic for this particular article. But then, our host mentioned it. I've tried communicating with Dr. Ortiz, but I think the problem is that he doesn't read English. It would be up to me to find somebody who speaks Spanish to translate, but frankly that's kind of clumsy. I regret to report that I don't speak Cherokee. Most of my Cherokee comes from my father's side, and membership in the Tribe is determined matrilineally. So I'm not entitled to the money they got from being ethnically cleansed onto an oil field (heh, heh :D). Y'know, one reason Dr. Ortiz' name for Haumea was not accepted is that it didn't quite fit the naming rules. Sounds like Dr. Otiz needs you, maybe you could strike up a conversation with him. yes, It is interesting, we have set ourselves the same thing. Some time ago I'm thinking about it. Since then, there seems to be casual? If an anti-Sedna was discovered, then there would be no doubt. There must be a common mechanism. Returning to the subject's name for 2007 OR10, Galatea's suggestion is not valid because there is a satellite of Neptune that is called Galatea. As I thought of the name of "Galata", one of the sons of Galatea and his name also refers to white as milk. Whew! That's a LOT of information you've linked to here. Just skimming half of it has generated about 15 or 20 pages of comments and questions. However, I've got a life and had to cut short reading on this. I noticed with a little bit of shock that tidal interactions have been calculated using the average tidal force, i.e. assuming a circular orbit. And I think this has probably been applied to extrasolar planets, also. Actually, in an eccentric orbit, nearly all the tidal interaction occurs at periapsis (perihelion if the central star is the Sun). I already knew this. This easily explains all those hot Jupiters, or roasters. Mechanical strength of the bodies is also important, of course it's about 0 for a gaseous planet. Haumea's a different story, we already know it's made of dense substances and I have an informal bet (with no takers so far) that iron is a major portion of that. However, I'm making a lot of assumptions here, the primary one being that the object that collided with Haumea was Triton and that initially, both were about the size of Pluto. Collisional speed would then be about 1.6 km/sec, which is enough to knock most of the ice and a lot of the rock off, however the steel core would be less affected. Well, I already missed a few busses so I'd better get moving. Thanx again, Luk, for turning me on to these fantastic papers. Intensely interesting. Too bad Ortiz is noncommunicative. He's probably suffering withdrawal complex as a result of accusations. Well, the smoking gun (the discovery photo) is on his side. Please try again. I think the entire Spanish-speaking world, in fact the entire non-US world, would greatly benefit if he were to start active engagement with the team on this matter. This whole thing is just a food-fight, in my opinion, and nobody looks good as a result. You'd think making a major discovery like Haumea would excite Dr. Ortiz interest in the totality of the Kuiper belt project. 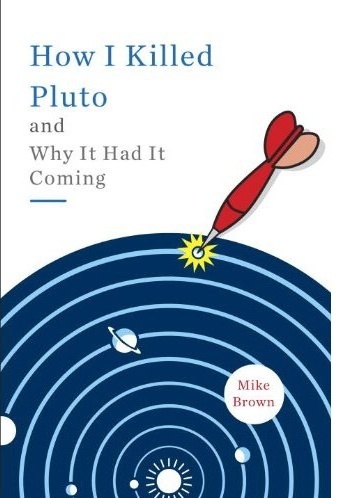 This might not be an exaggeration, we don't know enough yet, but think of the possible consequence; if Mike Brown and Jose Ortiz can't find a way to get along, comets might bombard the Earth, destroying all life. Well, now I'm busy with the observation, I find myself in the midst of an experiment. I expected an interesting summer. If everything works correctly, by September or October I will comment. I'm still calibrating the telescope, I hope that next week is already watching, or with a little luck at the end of this week. I tried several times to speak with Ortiz, but without success. And I decided not to try again. He'll have to make the effort to communicate with people. Rereading my post, I stuck my foot in it again. Apologies to Darrin Raggozine. He wasn't making errors in the tidal energy dissipation, he found them elsewhere. Oops. I would like to wish the best of luck to all invoved in this amazing project. If 2007 OR10 has a high albedo and it is composed mainly of water ice. Its color is white. Therefore, "Galata" would be an appropriate name for this dwarf planet. Galata is a daughter of Galatea and Polyphemus, her name means white as milk. Moreover, her father Polyphemus is the son of Neptune, which would refer to its perihelion near the orbit of Neptune. In Greek mythology, Galatea (in Greek Γαλατεια Galateia, 'white as milk ") is the name of several characters femeninos.La first is a nereid Sicily loved by the Cyclops Polyphemus. His parents were Nereus and Doris. The Sicilian Greek poet, wrote two poems Teócrito around the year 275 BC about the love of Polyphemus to Galatea. When she rejected him in favor of Acis, a Sicilian shepherd, a jealous Polyphemus killed him throwing a boulder. Desperate for the pain, Galatea turned his blood into the river Acis (in Sicily). According to some versions, Galatea with Polyphemus was the mother of Galata, Celto and Ilirio gods epona of Galatians, the Celts and irilios respectively. Loved this thread, if I am a bit late in responding. I love the idea of Galatea or Galata as the mythic name for Snow White, as they are beautiful myths. On the other hand, I like that our planets are becoming multicultural in their mythic names, thanks to Dr. Brown. If Snow White is "between Quaoar and Sedna" in some sense, what about the Lakota beautiful myth "White Buffalo Woman?" From some of the sites I've read the names PteSan Winyan (Pte San Win) or Wohpe, would be her "mythic goddess form". With all of the painful yet powerful mythic stories in this area of our outer Solar System about feast/famine, how about one mythic figure who came to heal, to end famine and to expedite peace? We could use this archetype right now! Dwarfs in Space = "DIS". Dis would be better for a Plutino like Pluto or Orcus though. But then "DIS" also is an acronym for "Death in sleep" a reference to Snow White. Then again, Dis being a god of the underworld would be a bad choice for a non-Plutino. Snow. Snows of Olympus. Thus, "OLYMPOS", realm of the Greek gods at the start of their creation. "HEMERA", primoridal goddess of the daylight, an apt name for a bright object. As for overall, please someday consider "NOKOMIS", grandmother of Hiawatha and a creation goddess/Mother Earth character in many native American groups from the Atlantic coast to the Great Lakes. I think that Arienrhod or Arianrhod might be a good name. There are references to being bright an shiny (silver wheel), underworld conections, and even to being denied a name. There is a hidden connection with the Snow Queen from Jaon K. Vinge's novel of the same name (based on the original), who was named Arienrhod. Skadi or Skathi - Norse goddess of snow and winter would have been good, if Saturn's 27th moon hadn't been named that already. Though technically I don't think it would be excluded. Chione (Greek snow goddess, daughter of Boreas) is a possibility, but without much mythology behind her. It sounds nice. Yuki-Onna is a popular Japanese Snow Spirit. I think a female figure with an edge to it would be good to show her similarity to Eris. Interesting to think what name it will/could be given. Interesting examples. To me, the Hindu goddess Chhinnamasta comes to mind. (http://en.wikipedia.org/wiki/Chhinnamasta ) Why? Because she's said to symbolise self control over sexual desire, and spiritual energy, on the one hand, and the embodiment of sexual energy itself, on the other, and it seems to me that these qualities express underlying themes for the folk story "Snow White", as well as being qualities associated with the colours white and red, which have both, at different times, been said to be characteristics of this planetoid. Chhinnamasta is also, a creation goddess. Mary Brett, (astrologer). Salacia was a recent beautiful name used; what about Neptune's other paredrae, Venilia, goddess of the tranquil seas? From what I've read, 2007 OR10 is actually one of the reddest objects in the Kuiper Belt. So why not the Greek Goddess Persephone, Infernal Queen of Hades? She is the daughter of Zeus and Demeter, and wife of Pluto. She helped in overseeing the judgement of the dead, and the Greeks feared speaking her name in case they evoked her wrath. And the redness of the planet would be a nice nod to the pomegranate seeds Persephone used to seal her agreement with Pluto. I propose to name the dwarf planet after Kora (another name of Persephone), because this name has not been used yet for minor planets. There is asteroid (504) Cora, but it is connected with Peruvian mythology. Also there are parallels between Snow White and Kora: connection with rebirth, apple / pomegranate analogy.